Although there are as much brands of mixers as the number of people living in your area, when one is looking for a durable mixer most people tend to look the way of the KitchenAid brand. But most of us need a KitchenAid mixer that can fit our various kinds of mixing processes, either as a professional who needs a mixer which accommodate a large amount of ingredients, or just a regular mother baking for her small or extended family. If this hold true for the majority, then the logical question is “which KitchenAid mixer should I buy?”. Most of us face problems with some mixers we have encountered like “the motor is overheating”, “it doesn’t have enough power to do the job” , “it’s just too small”, “it’s not dishwasher safe, or “it does not take long before the parts start malfunctioning”. 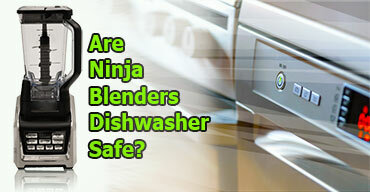 The reason for this is that we do not take into consideration the uses of the mixer before we buy it. Conversely, when the mixer needed is actually compatible with the task ahead, affordability pops up as an issue. Not considering the purported use makes the task of narrowing the choice list difficult. The use of the mixer should be you main worry and here I will give you the best options to choose from depending on what you would like to achieve. Let’s start with the home-made aspect. As a regular mom, you just need a mixer to mix or knead, one that has just the right capacity to make you a loaf and also also a cheap choice. So here I will give you 3 of the best options to choose from. Being the best mixer for an intermediate home cook or I should say a novice, the KitchenAid classic Stand mixer is a Tilt-head stand mixer with a 4.5 quarts’ stainless steel bowl. This means it can allow access to the bowl or attached accessories to add ingredients easily and can take up 6 dozen cookies or 3 loaves of bread at one go. This mixer is equipped with a 10-speed feature which is powerful enough to handle any task you throw at it but is also made to start softly to avoid splashing of the ingredients. With a hub that powers over 10 optional attachments, this mixer can be used to literally make everything you want ranging from burgers to ice cream, pasta and many more. It is made to have a thorough mixing, which means it brings the ingredients from the sides of the bowl into the bowl. The parts of this mixer are dishwasher safe with a nylon coated flat beater, dough hook, and a 6-wire whip. It runs on 275 watts and 120 volts. Weighing just 22 pounds, the KitchenAid classic KSM75WH stand mixer comes in white and a warranty of 1 year. Click here to go check the latest price and real reviews on Amazon. Well, the KitchenAid KHM7210CU 7-SPEED Digital Hand Mixer, unlike most of the mixers on this list which are stand mixers, is a hand mixer. And as usual, the manufacturer of this brand is the reason behind its sleek and compact design, coated and furnished, that gives off a smooth finish and elegant design. This mixer has 7-speed levels and is set to go on a soft start. They go in different purposes-e.g. speed 1 is stirring and mixing; speed 4 for mashing potatoes; and speed 7 for beating eggs and whipping meringue. It also has an amazing soft start feature giving automatic speed control which helps avoid splatter of the content. The handle of this mixer was made in such a way that gives you that soft grip feeling of comfort, designed specifically to help the users to maneuver at any angle. Not to forget that this mixer has been installed with a Stainless Steel Turbo Beater II for heavy mixing and is dishwasher safe. This mixer can be used with one hand while the other hand replaces any accessory easily with the beater ejector button. And it can actually be used in a variety of cookware bowls like the ALL-CLAD, CALPHALON, COPPER CHEF AND the GOTHAM STEEL. The KitchenAid KSM105GBCMC mixer is a 5qt mixer which the manufacturers decided to up a notch by producing a glass bowl with measurement markings, handle and pouring spout instead of the usual stainless steel bowl. This makes it different from most KitchenAid stand mixers known, with the capacity to take from 5-10 cookies at a go and also adds an extra touch to your kitchen. It also features a flex edge beater, a c-shaped burnished aluminum dough hook and a 6-wire whip which makes it one of the mixers one should definitely have in mind. The KitchenAid KSM105GBCMC mixer like other mixers above has a powered hub that can turn your mixer into a culinary center with more than 15 additional attachments included in the package. These can fit into the hub which gives you a variety of processing options and also equipped with the Tilt-head technology. The flex edge beater of this mixer reduces the mixing time and can scrape the contents from the sides into the bowl which reduces further scrapping afterward which is kind of stress. It also comes with a 10-speed control, which of course you know by now can do literally any task you throw at it. 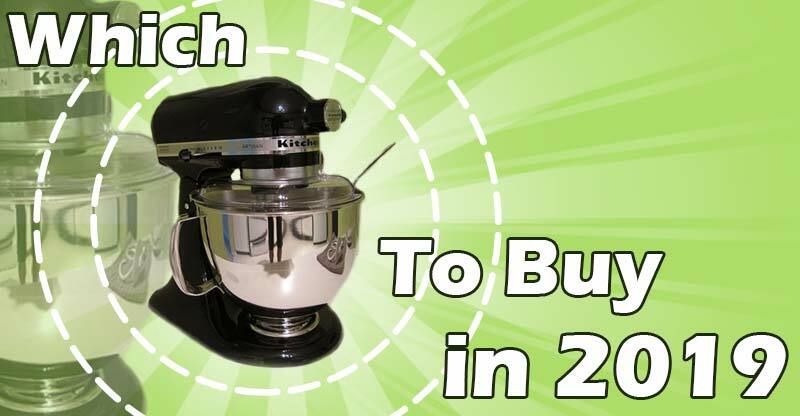 The KitchenAid KSM105GBCMC Tilt-Head mixer comes in 3 different colors and has a 1year hassle-free warranty. Check real reviews here. We now go to the aspect of the professionals like a chef or baker who needs a mixer that can do a lot of work and still function at the same time with a large capacity and enough motor power to give them a satisfying output. This type has also a variety of attachments that can work in any given process the user wants. As usual with the KitchenAid craftsmanship designs, this mixer was manufactured to obtain a sleek and compact design. Coated and furnished, this mixer has an elegant and very smooth finish and the bowl is made of high-grade stainless steel which is very durable. This mixer has a 10-speed feature which is one of the best features on this mixer helps in controlling the speed of the motor based on the application in use. That means it can go from a slow stir to a very fast whip. As one of the best, this mixer is designed with the bowl lift technology, which allows the bowl to be adjusted according to the requirements. This mixer is an 8qt mixer that can take pounds of dough at a go and at a 1.3HP can take on large and dense contents without overheating. To wrap it up, this mixer has a flat beater, spiral dough hook, stainless steel whip and a steel bowl guard to prevent spill and injuries in the user. Let’s not forget its NSF certified. With a dark pewter finish and an all metal touch which gives it a professional look, the KitchenAid Commercial 8-Quart Countertop KSM8990DP Stand Mixer has a 1.3HP motor which is designed to give extraordinary power with strength no matter the task given to it and is the quietest model existing that can at the same time give an optimal delivery with less heat buildup. Just like the above mixer, it also has 8 quarts brushed stainless steel bowl with a handle, which means that it can take up to 8 pounds of dough or 13 dozen cookies at a go. Designed by professionals for professionals the KitchenAid Commercial KSM8990DP Countertop Stand Mixer is equipped with the bowl-lift technology that provides stability on the bowl during large ingredients processes. It has a 10-speed level control which can take on any kind of process without overheating, which has a slow start feature to avoid the content from splashing. It has a powerful hub that works with more than 12 attachments (such as a flat beater, Powerknead spiral dough hook, stainless steel 11-wire whip and more) that makes any possible process easy. The KitchenAid Commercial Countertop KSM8990DP Stand Mixer has a wattage and voltage of 500watts and 120volts respectively. The KitchenAid 7-Quart Pro Line KSM7586PCA Stand Mixer which is known to be perfect for dense mixtures has a stainless steel bowl with 7-quart capacity. In other words, this bowl can take up to 14 dozen cookies or 16 cups of flour at a go. It is designed to give a long lasting performance and at the same time remain quiet. The KitchenAid 7-Quart Pro Line Stand Mixer features the bowl lift design which helps in bowl support and stability while mixing ingredients. This also gives a wonderful bowl to beater contact. The power hub on The KitchenAid Pro Line KSM7586PCA Stand Mixer turns it into a culinary center. With more than 15 attachments at your disposal, this mixer can go from making pasta to whipping up ingredients for ice cream or shredding a block of parmesan cheese in seconds with ease. The KitchenAid Pro Line KSM7586PCA Stand Mixer is equipped with a Burnished or Coated metal flat beater, a PowerKnead Spiral Dough Hook, and wire whip. It can also fit a food grinder, pasta maker and more. Click on the link here to check price and reviews from Amazon.